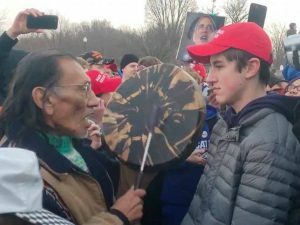 An investigation into the viral encounter between students from Covington Catholic High School and a Native American man found the students’ accounts to be largely accurate, according to findings released Wednesday. The students were the subject of intense scrutiny after a short video clip went viral that showed students wearing “Make America Great Again” hats surrounding Native American Nathan Phillips as he played a traditional Native American drum. One student, Nicholas Sandmann, appeared to be in a standoff with Phillips.